Sony’s upcoming IFA event may see the company unveiling its unique QX10 and QX100 camera lens attachments, in addition to the much-rumoured cameraphone codenamed Honami. 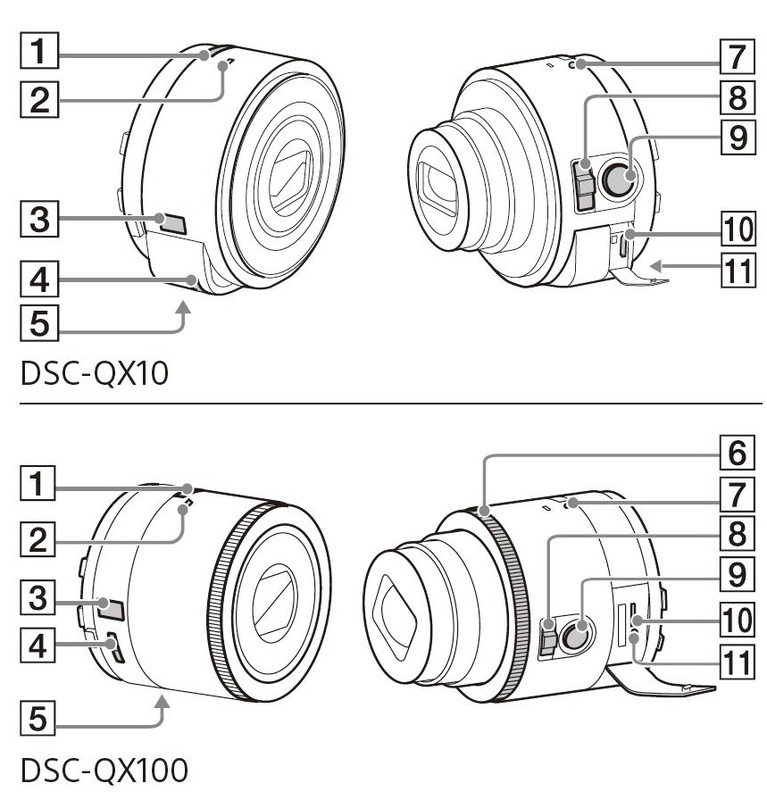 Some press images of the attachments have already been leaked earlier, but SonyAlpha Rumors has also released parts of the manual for both camera attachments. Both lens models feature their own battery packs, on top of various other features such as a display panel, shutter button, zoom lever, microphone, belt hook, tripod mount, and a Memory Stick Micro slot. On top of that, the lower-end 105g QX10 attachment sports a similar 18MP CMOS sensor and f3.3-5.9 lens as the Sony WX150 camera, while the 179g QX100 features the same sensor as the RX100 II with Zeiss lenses – which we must say is pretty awesome. It may be too early to tell, what with the potential release of the Sony Honami and the Samsung Galaxy Note III, but the QX10 and QX100 may just be the most innovative products to be announced at IFA 2013.